"Everybody wants to know - why would I go country?" Momentum Pictures has unveiled an official trailer for the documentary Steven Tyler: Out on a Limb, a profile of the musician/rock artist known as Steven Tyler. The film is not about Aerosmith, per se, but about Tyler himself and focuses on his new style - country. The synopsis explains it's about him "as he embraces the challenges of shifting gears, both as a solo performer and in a new genre of music." Oh boy. The film features interviews with Steven Tyler, The Loving Mary Band, Slash, Robert Deleo, Jaren Johnston, Starfighters, David Hodges, Chris Destefano, and Nathan Barlowe. And it's directed by a filmmaker who made Aerosmith: Rock for the Rising Sun previously. Even though this is a real doc, it's one of the few I just couldn't care less about, but that's just me. Give it a look. 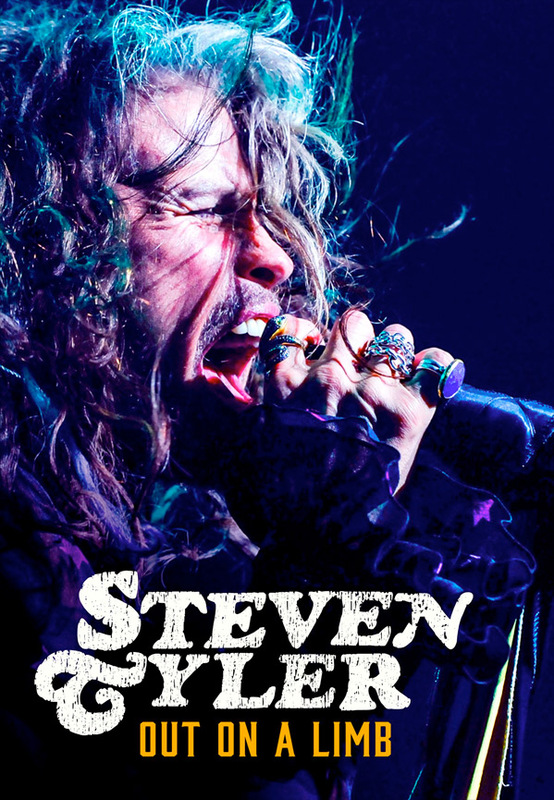 An intimate portrait of rock icon Steven Tyler as he embraces the challenges of shifting gears, both as a solo performer and in a new genre of music. Uncovering a side of Tyler many fans have never seen before, this inspiring story looks at the passion, drive & search for creative fulfillment that keeps artists pushing boundaries throughout their careers. Steven Tyler: Out on a Limb is directed by filmmaker Casey Tebo, of the documentary Black Veil Brides: Alive and Burning, and Aerosmith: Rock for the Rising Sun previously. The doc will kick off the opening night of the 49th Annual Nashville Film Festival in early May. Momentum will then release Steven Tyler: Out on a Limb direct-to-VOD starting on May 15th this summer. Anyone?